The apartment is located in the main building and is accessed via a separate entrance on the gable - from here you can also access the private, covered terrace with barbecue facilities and private storage z. B. for bicycles. The 45m² apartment has a sofa bed (140x200) in the combined living room / bedroom, dining area with dining table and TV. 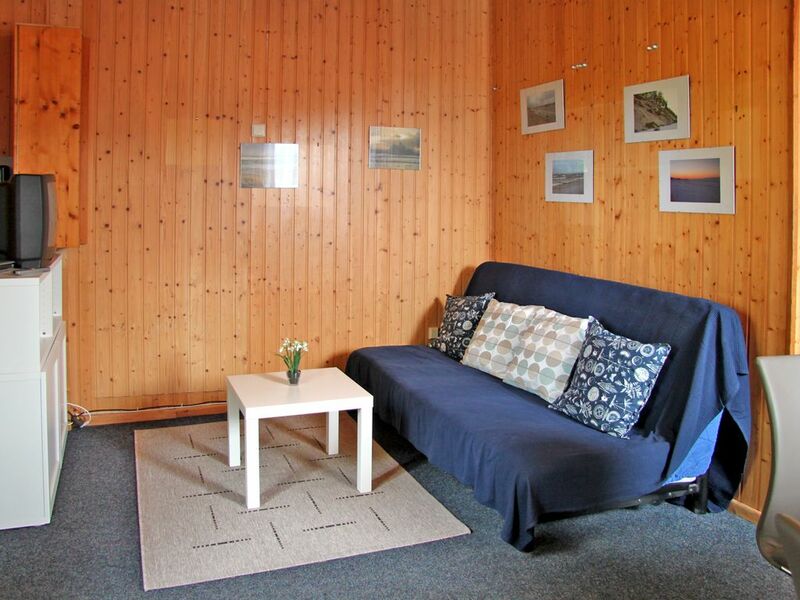 From the small hallway behind it you get into the narrow but fully equipped kitchen with fridge, stove, oven, coffee machine and kettle and in the small ebenerdrige shower room with toilet and in the separate bedroom with two single beds (90x200) and wardrobe. On the outskirts of Kröslin are the 2-room apartment - on a large residential property with meadow area, trees and a playground with sandpit and are ideal for families with children. The apartment in the main house sleeps 4 people and has its own terraces with unobstructed views of meadows, fields and forests. The apartment is located on a spacious residential plot on the outskirts of Kröslin in an old station building. From here you can take the ferry to Usedom. The beach in the neighboring village of Freest is only 3500 meters.